Originally produced in 1902, the Marmite of today revels in its status as the most loved and hated British product on the market! 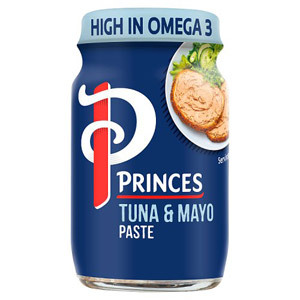 Taking great pride in its ability to divide a nation, this yeast-based extract is (according to many) a delicious spread - perfect on toast, as well as a cheeky addition to an otherwise dull cheese, chicken or tuna sandwich. As well as yeast, Marmite contains a unique mixture of vitamins, vegetables and spices, all of which combine for that controversial taste! Please note that we do not sell Marmite products to Australia or New Zealand. Most popular with customers in France, Italy, United States of America (USA), Germany, Spain, Denmark, Sweden, Greece and Canada, but you can buy Marmite Medium for delivery worldwide. One of our Marmite branded products. Contains Barley, Contains Celery, Contains Oats, Contains Rye, Contains Wheat. 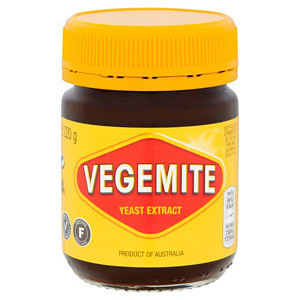 Yeast Extract (contains Barley, Wheat, Oats, Rye), Salt, Vegetable Juice Concentrate, Vitamins (Thiamin, Riboflavin, Niacin, Vitamin B12 and Folic Acid), Natural Flavouring (contains Celery). Low Fat, Low in sugar, Suitable for Vegans, Suitable for Vegetarians. 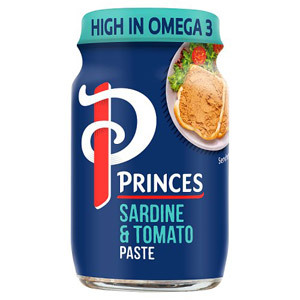 You are either a lover or a hater of this product and 5 stars means I love it, half my family hated it growing up and I loved it, I honestly only ever use it on buttered toast thick sliced, white. It is a great comfort and the taste just takes me right back to teen years. A very simple food but to me, it is a great treat that I relish having. They say either you love Marmite or you hate it. I'm absolutely addicted to this salty, strangely satisfying paste. Put a little bit on toast the first time and you'll soon discover if it suits you. Now I usually spread a generous amount on toast, sandwiches, rolls, and the like. Awesome afternoon treat, but I'm a salt lover. Yes you either love it or hate it. We love it but can not buy it in Spain. We got it delivered today from British Corner Shop. Can't wait for breakfast tomorrow. There is nothing quite like Marmite on hot toast. This is a truly British product. Delicious and nourishing and great value for money. It was my British husband who introduced me to Marmite. It is true that you either love if or hate it, but I think I love it even more than he does, because he always has just a thin layer on his toast, whilst I can even have it straight from the jar! This is a really fantastic spread, heavenly on toast with butter or margarine. I love this stuff, and I can finally feed my cravings now that I have my nice big pot! It's difficult to describe to a non-Brit, because there's nothing quite like it. I like it on hot, crunchy toast or Walker's Oatcakes. The thought of it is making my mouth water as I write! Try it! 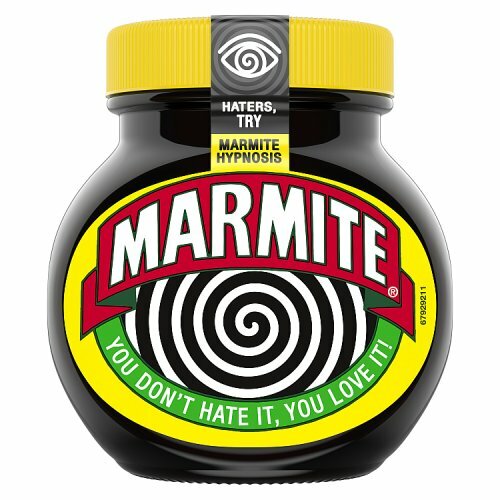 Marmite is as someone said you either love or hate. I adore it and disagree it should be used sparingly - the more the better. Easy recipe : Roast potatoes in their skins in the oven; when cooked, cut in half, scoop out and mash and add butter, grated cheese and marmite. Refill skins, sprinkle grated cheese on top and return to oven. Great!!! Marmite is simply one of those items that a true Brit just could not live without! Those who say they hate it must be using it in all the wrong ways. You don't turn to Marmite when you want something sweet, and you mustn't use more than a smidgen at any one time, whether on toast, white bread, or crackers. 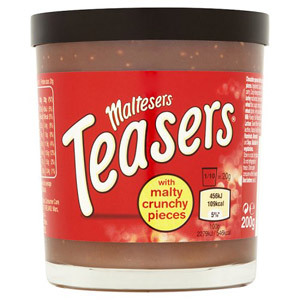 It's for the times when you fancy something a little bit different, and a little bit special - for the times when you want to taste something a little more risqué on your tongue rather than the usual sugary fix. Excellent source of vitamin B. Very healthy and tasty too. At least for the people who enjoy its taste, that is. Some people don't like it at all, perhaps because it's quite salty and has a strong taste. A little bit is enough, spread on toast with a bit of butter. I can't imagine a cheese sandwich without it. Since when I was a child I loved Marmite. It is so good in stew, it goes well with cheese and toasted bread. Marmite is healthy. There is a rich source of vitamin B complex. It is the best British spread ever. Thank you British Corner Shop for selling Marmite. Marmite really is a case of love it or hate it. I love it. It is a yeast extract black thick spread which goes perfect on toast or make cheese marmite straws. It is calorie free. There is no equivalent to Marmite. 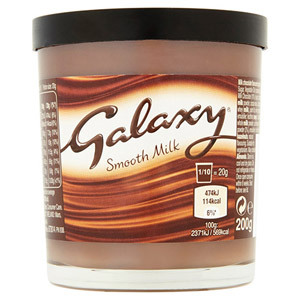 One of the best British products about. I have always loved Marmite, it is by far the best British food item ever! I get cravings for Marmite on white toast and a good bit of melted butter. It is also nice on mature cheddar cheese and ham sandwiches, in place of relish. It is quite strong so you do not need a lot. Would you like to write a review for Marmite Medium?